Island Spirit and Belmont High School are once again teaming up. 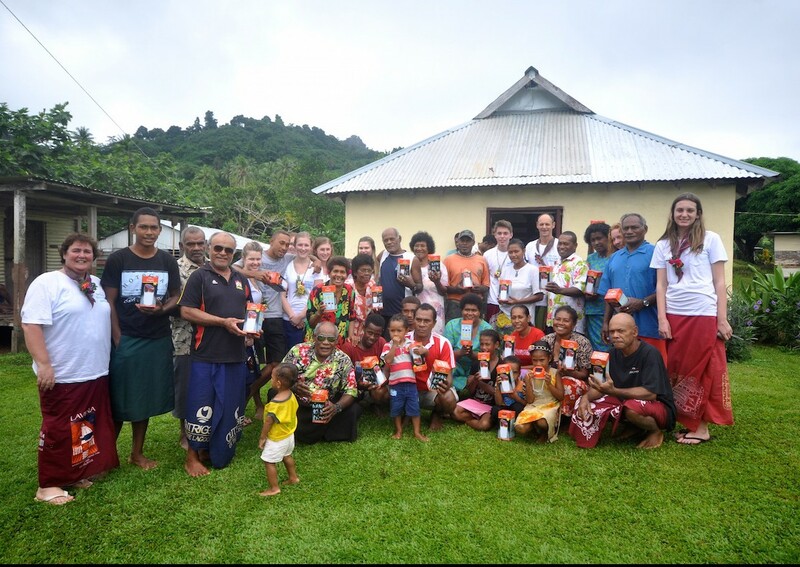 This time we are asking people to come forward, dig deep and put some pennies towards a solar unit for Vidawa Community Hall, Taveuni, Fiji. There is currently no mains electricity on the island and only few villages/houses have solar electricity as the units are so expensive. Government and NGO’s are stepping in slowly to make them more accessible but slowly is the word! In the mean time kids can’t read after dark without kerosene lamps and the odd solar lantern. Kerosene lamps can kill. In 2013 a five year old boy from an outer island died from first degree burns. His burns came from an exploding kerosene lamp as he helped out in the house. Black carbon (soot) emitted by kerosene lamps contributes more to climate change than all the CO₂ released in the UK during a whole year. Reserve energy can go into a central grid. Money saved from solar is commonly spent on better food, education and farming inputs. A solar light brings people together and can help make people feel safe and secure in an otherwise dark rural environment.